I was flicking through web pages this morning and stumbled across a page from “Grand View University” (in Des Moines, Iowa) – I had never heard of the place but its name caught my attention. On closer inspection, I discovered that it is very proud of its state-of-the-art LEARNing spaces – its Rasmussen Centre for Community Advancement Professions was runner-up in the “Smartest Building in America Challenge”. Actually, I liked what I saw (or what I was told) about GVU – many of the things they do “hit home” for me. Then, I came across a “section” showcasing what GVU offers its Education undergraduates – one of these was an “observation classroom”. This seemed to have two sections – divided by “glass” (or a “mirror” – I could be wrong) that allowed teachers-in-training to look in on more experienced teachers while they are “doing their business” with students (and visa-versa). I’ll be honest – it freaked me out a bit. I’m sure that no one at GVU had this purpose in mind when it created the “observation classroom” (unlike some of the schools I have seem – cameras in every classroom working 24/7) – but, let’s be honest…many teachers jump into “big brother” thinking mode as soon as classroom observation is mentioned. Where do these feelings come from? Why do so many of us start to get sweaty palms and feel the blood drain from our faces when “that time” comes around? In an earlier post, I talked about how I dreaded observations as a young teacher – mostly because of the dumb requirements many institutions have for “formal lesson plans”. However, I also noted that I did learn quite a lot from watching more experienced teachers (and LEARNing from their strengths as well as their weaknesses) – and I also learned a great deal whenever I had a “skilled” observer. I also remember when I was first called upon to observe the classes of other teachers – initially as a “quality control” process, later as a “developmental” process (funny how the QC version is always first – while the PD version is often the afterthought in many institutions). Many of my first attempts were “lousy” – I was frequently “judgmental”, jumped in with both feet and told observees what “I” would do (before even listening to what they had to say) and even wrote inappropriate comments on feedback sheets. If I ever did this to one of you out there reading – I am sorry! And, feel free to request a “re-match”. I am much better now – honest! I do not want to pass-the-buck – OK, maybe just a bit! I was never really given much training, and frequently all the guidance I got was a “checklist” – but I was young and guessed this is how it works! 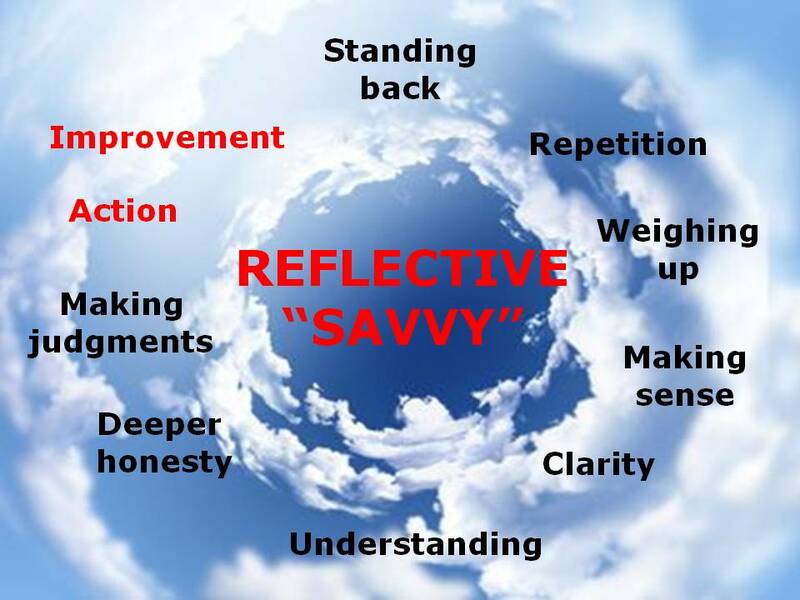 It took me years to develop my own observation “reflective savvy” – savvy I had to develop mostly by “trial-and-error” initially. But, then I was fortunate enough to be invited to “observe” somebody else being an “observer” – and was lucky enough for a fair few “observees” to be kind enough to allow me to LEARN with them…one of the best LEARNing experiences I have ever had! 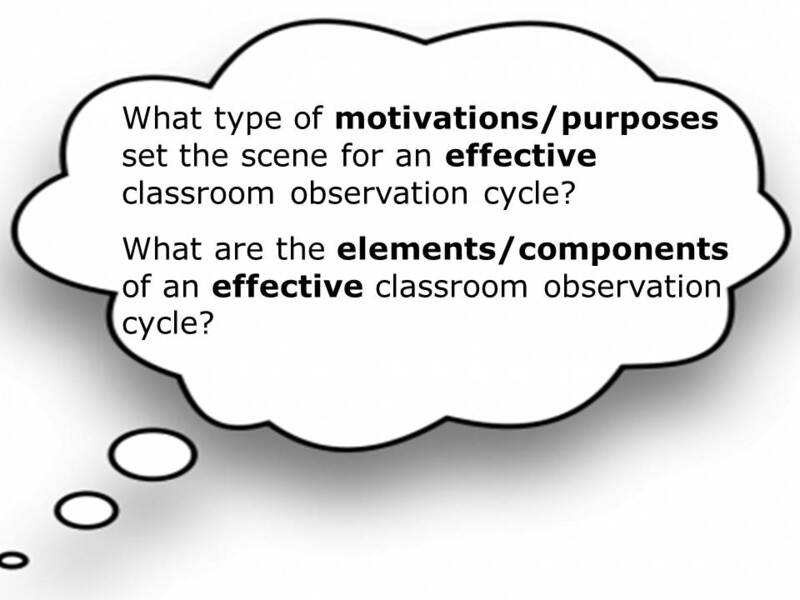 But, I also realized that teachers were also given very little information about the purposes of many of the observation cycles – and training about how best to approach the various components of elements of classroom observation. And, even though I may have been an “ignorant novice observer” – some teachers also made my life “hell” (and I think kinda enjoyed watching the blood drain from my face in feedback sessions, too)! Let’s face it – classroom observation is “tough” for everyone involved. I’m actually going to “shut up” here (that’s gotta be a “first”) – and invite you to throw in your two cents worth. 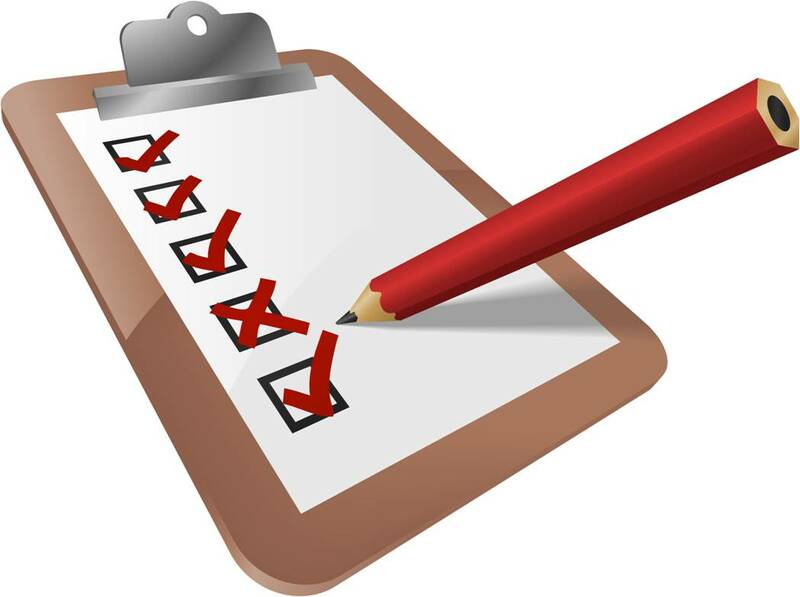 Tell us what you think about the above questions or anything else you think “works” or “matters” in classroom observation – no “names” required (so we protect the innocent)! I enjoy the way you intermingle media within your posts. I actually don’t have too many experiences as being observed by colleagues/DOS. During my three years in China I only had 2 visits and both times they were more for flattery than actual critical feedback. In the job before that, I had a few visits as well, but I wasn’t provided much feedback either, so I can’t say I’ve had any of the traumatic, big brotheresque experiences one could imagine. You made me remember the good bold days:-) I was so enthusiatic about being observed in my first year as a teacher. (Maybe it was because I was 30 km. away from the city center and was sure that noone was willing to spend time with me). I think, the first year in the profession is the most suitable year for positive feedback take place. Whenever you feel the error, you can blame the virtual scapegoat inside, -first-year-whipping-boy. I remember trembling in front of students while being observed by our manager. Actually, being an observer and the requirements are way above my head and eager to learn from my dear experienced observer teachers. Murat – great to hear from you 😉 I know what you mean about the first year (if the observer really cares about us – and one who travels 30km has got to be a caring soul). I think you are right about that first year – but I might even say fırst 3 or 4 years – this is where an effective mentroing role can really make a difference and structured observation – both ways – is a great part of this). Training for and teaching Reading Recovery has cured me of most performance anxieties. Regular teaching behind a one-way mirror while 15-20 colleagues critique your teaching decisions and then feedback their questions and responses has and will always be daunting but the learning gained both ways is vital and I will always be grateful for it. Be clear about what is being observed: the teaching? the learning? and only comment/respond to that. Constructive feedback is welcome. Being blindsided by a judgment on something not discussed or agreed upon beforehand is not. Hi Heidi – thanks for this. Great advice (clarity of “purpose” and “ground rules” are critical)! 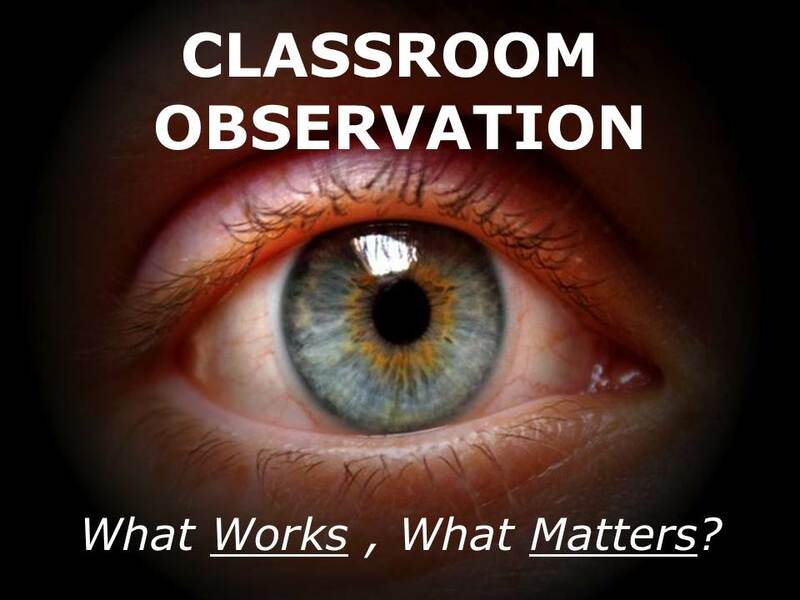 I have to ask – so you have actually used an “observation classroom”? I can see the benefits if you have a group feedback session (15-20 would indeed be “daunting” – but far superior to have them all try to find seats) 😉 I guess I have always preferred “observers” being part of the group – though I know many disagree with these forms of “participant observation”. I just feel it’s better to get observers to reflect from the point of view of learners (insomuch as anyone can). Not a classroom as such, just a small teaching space with one wall as a one way mirror – used to observe a lesson with just the teacher and one child so for a very specific purpose. I have also had the more usual classroom observations, as part of appraisal, professional development, colleague visits, student teachers, international visitors, and parental visits. New Zealand classrooms are very ‘open door’. People come through all the time, formally and informally. More and more interest in “putting” classes and lectures on the web – and the drive to “video” more and more classroom sessions for some “audience” (and maybe even “hidden agendas). Whether observation sessions should be “announced” or “unannounced” – benefits and pitfalls of both. Whether “motives” such as “quality control” are effective – or even ethical (if one does not “invest” in professional development at the same time). 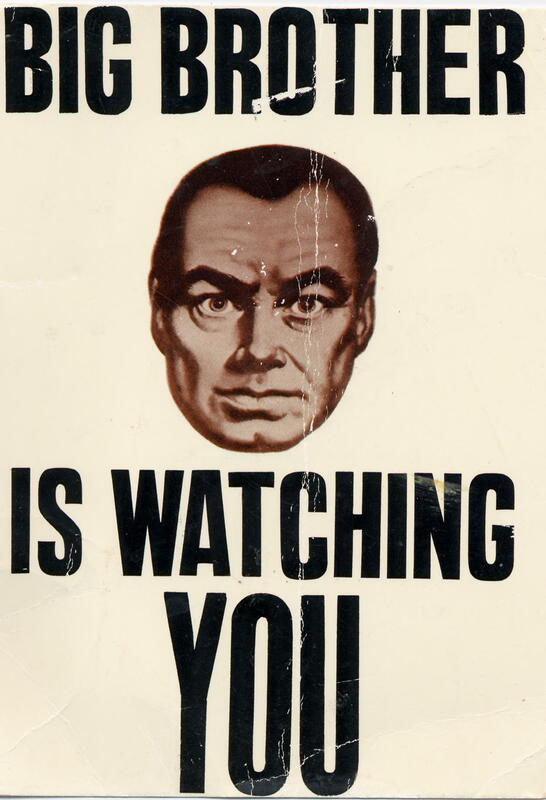 Training for “observers” – are “administrators” the best people to do observations (esp. when they have been “away” from the classroom for long periods). Should we have specialist teams of “teacher trainers” to do this work within our schools. What is the role of “observations” in cases of “disciplinary action” – are these “fair”. The difference between “new graduates” and more “experienced” teachers – does one model or one-size “fit-all”? 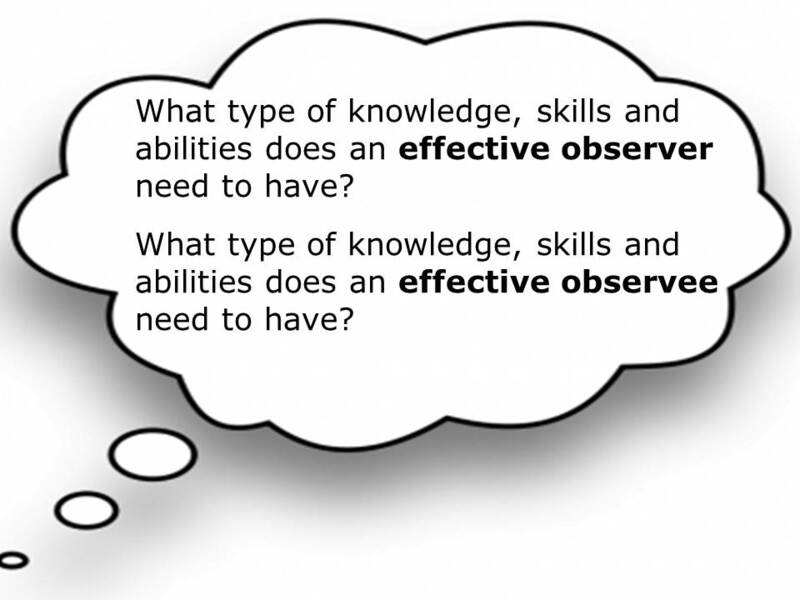 What happens when an “observer” seeks to use “reflective questioning” – but a teacher just wants to be “told” how to get better. Can we use “students” as observers – would this be acceptable if an institution is seeking to promote more “accountabilty” for teaching. 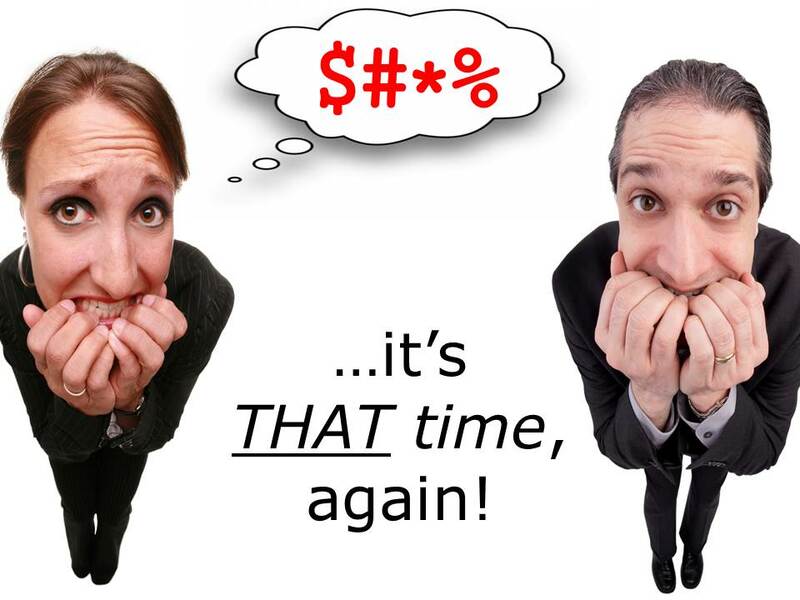 What happens when a “great teacher” – just “freaks out” or gets “stage-fright“? First of all, I believe that not all teachers find observation as a daunting experince. I think this has got a lot to do with personality and self esteem. For example, I would never dare say that I’m the best teacher around but then again I don’t recall feeling anything daunting whilst being observed. I have always been very comfortable in front of a crowd even when I haven’t made the best preparation for my sessions. On the other hand, I know teachers who make very good preparation and who are very succeessful once they get going but they also demonstrate the tense voice (and sometimes even lose their voice) when they first appear on stage and when they say their first words. I think the only explanation I can provide for this would be “personality”. Because not all teachers are relaxed in front of a crowd, being observed is daunting and there’s no other way around it. I believe that if the ground rules are set for the points on which the observation will take place, this can help lower the anxiety because the teacher will know what is important and can act accordingly. Once the teacher has gained experience and has experienced several observations, s/he will get over the fright and feel more relaxed. I think the observer should be participant whilst observing instead of sitting in and only watching with a pen in his mouth and taking notes every now and then which can increase the tension of the inexperienced teacher. Moreover, a “friendly” cup of coffee before the observation can contribute to the daunting feeling the teacher may have. Thanks for dropping in. Yes, you are right, of course – I have met many teachers who have no problems with being observed or people dropping into their rooms. As for ground rules, both you and Heidi hit the nail on the head – and I like the idea of “coffee” and all the things that go with this 😉 One of the things I am interested in is why it is a teacher might feel that s/he cannot “perform” as well when an observer is present. Is it because of the power differential and the purpose of the observation? And then, looking for ways to remove these feelings and make any observation “useful” in both “accountabililty” and “developmental” terms. Can we have both – at the same time, acaba? I suppose both the power differential and the purpose of the observer may be the causes for fear. The teacher is quite comfortable in front of his/her class because the students are well below the teacher’s level and can not criticise whereas an observer is present not to learn but to criticise. The teacher is fearing a possibility of doing something wrong and feeling humiliation in front of an observer. I suppose “the affective filter” of the teacher increases for these reasons. Like I had stated in my previous post, I think that a friendly cup of coffee where the teacher is comforted and reminded that the observation is for developmental purposes only and that it will not be used against the teacher could help make the observation in a more relaxed atmosphere in terms of the teacher hence making it more useful. When accountability is the point, I suppose it will never be very comfortable for the teacher and that it is very difficult to have them at the same time. What is a good or great lesson? What is a good or great teacher – and how are ideas on this linked to the observation process? What happens when the “observer” and “observee” have different understandings of good lessons and good teaching? I had a quick search & thunk on some of these areas and stumbled on one of the most disgusting phrases I have used to describe classroom observation processes: “PIG-WEIGHING”! The phrase, apparently is quite common in “Ofsted circles” (and we wonder why so many British teachers “despise” them). I think Tony’s idea of a good lesson is an improvement on the Ofsted definition but it raises other questions. A couple of people have asked if heads and administrators are the best people to conduct observations (if they are very removed from T & L – as, sadly, many are today) – so what about parents? Reblogged this on Quick EFL Practice.